Submitted by Ryan Bellinson on 01/07/2019 - 15:45. Ryan Bellinson is a PhD candidate in the Department of Urban Studies and Planning at the University of Sheffield’s. His research focuses on innovative urban governance models that may be used to develop socially just and scientifically robust climate change policy. 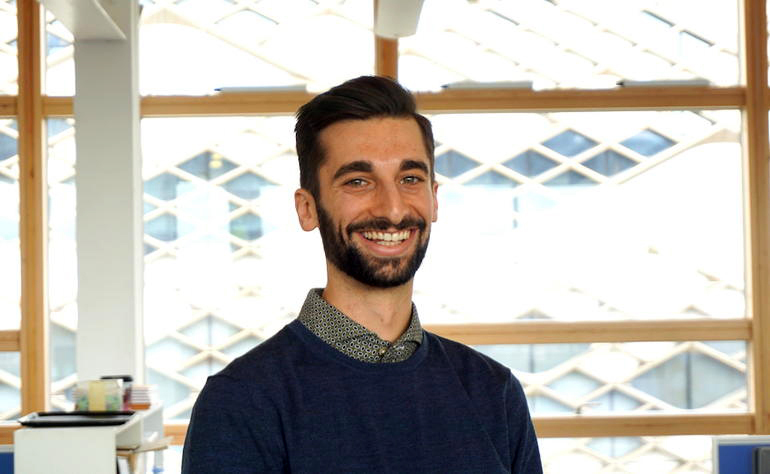 Ryan is currently leading the environmental governance project that investigates coproductive policy development in Greater Manchester, UK. "When I first began my journey as a PhD candidate, I could never have fully imagined the internal moral tensions and intellectual satisfaction the work would bring me. I was drawn to my research project on urban climate governance in Greater Manchester, UK, by a desire to examine and challenge complex scholarly work while making a positive contribution to practice. It has indeed been possible — much to my delight — to tussle with knotty theoretical questions while meaningfully engaging with practice thanks to the embedded action research approach the project utilises. The project was setup to take place through an embedded research partnership between the Greater Manchester Low Carbon Hub and the University of Sheffield to explore how co-productive decision-making pathways might be put into practice. Through the embedded approach, there have been numerous unique learning opportunities during my fieldwork that would have been extremely unlikely to occur in more traditional research settings. However, the challenge of conducting fieldwork through this approach has been maintaining clear and objective positionality while maintaining multiple rolls. By this, I mean balancing my critical objective stance as a researcher while getting ‘stuck in’ and embedded within my research content. My immersive access into Greater Manchester's 2018 Green Summit process has been one example of the exciting opportunities made possible due to the embedded nature of the project. I was able to use scholarship to explore how co-productive processes might actually be implemented during a policy decision-making process, and through my role as an active participant in the Green Summit’s delivery, actually test those theoretical learnings. This example demonstrates the ability of my project to contribute towards both scholarly theoretical understandings and policy development, but it also sheds light on the tensions that emerge from assuming multiple roles that this work requires. As I look ahead towards completing my PhD, I am excited for all of the experiences still to come. Being a PhD candidate is to be in a position of great privilege and responsibility. My role over the coming months and years is to be curious, inquisitive, learn, and share my unearthed knowledge with the world and those that could benefit from it. There’s a great deal of eagerness for the unknown discoveries that surely lie ahead. Although there may be times when the PhD is extraordinarily challenging, there have been far more moments that have been intensely gratifying, leaving me inspired to press on".